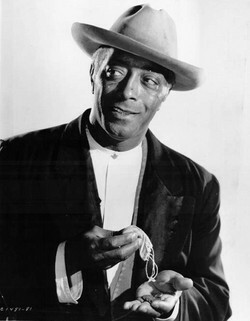 "Juano Hernandez was one of the most respected Black actors in 1950's Hollywood. He was born in what was then Spanish Puerto Rico in 1896 and became a sailor and boxer, fighting under the name Kid Curley. He later settled in Rio (his mother was Brazilian), and there he was initially drawn to show business as an acrobat. Moving to New York he dabbled in vaudeville, minstrel shows, and radio as both an actor and writer on iconic radio melodramas such as MANDRAKE THE MAGICIAN and THE SHADOW and worked on the first all-Black soap opera, WE LIVE AND LEARN. 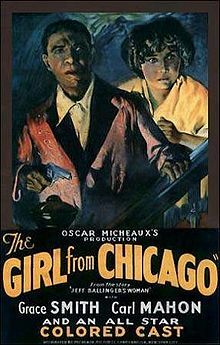 He improved his diction by reciting Shakespeare and began his film career in the 30s with small roles in three Oscar Micheaux films beginning with THE GIRL FROM CHICAGO in 1932. 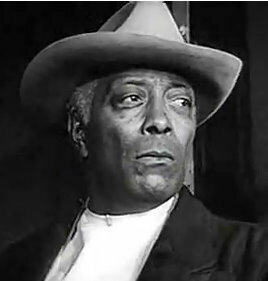 By 1949 he was impressive enough to be cast in one of the year's most prestigious films, Clarence Brown's adaptation of William Faulkner's INTRUDER IN THE DUST. 1949 was MGM's 25th Anniversary, and new studio head Dore Schary wanted to re-establish the studio's reputation with prestigious films. 1949 was also the breakthrough year for African-Americans in Hollywood with several notable films including PINKY, HOME OF THE BRAVE, and LOST BOUNDARIES. The care and production values that MGM invested in INTRUDER made it stand out as one of the year's best reviewed films. Hernandez was a commanding presence in the role of Lucas Beauchamp. In a film without stars, Hernandez dominated his scenes. Faulkner himself singled out Hernandez for praise in this much-acclaimed film, and the actor received a Golden Globe nomination. 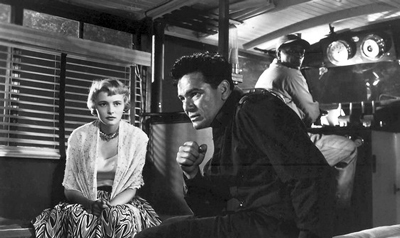 ... and especially in THE BREAKING POINT with John Garfield, a partial remake of TO HAVE AND HAVE NOT. 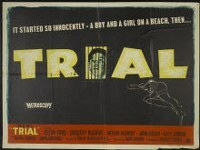 He was impressive in other 1950s films including playing the judge in TRIAL. Although there was talk of an Oscar nomination, the Academy chose Hernandez's co-star Arthur Kennedy. 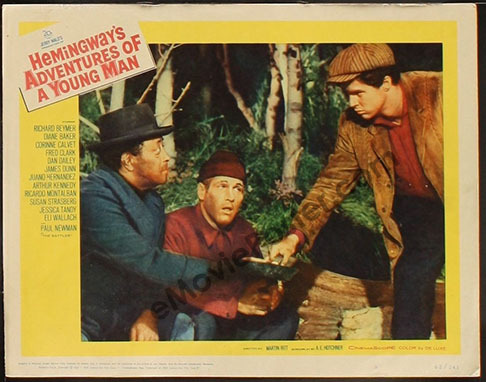 Among his other credits are KISS ME DEADLY, RANSOM, SOMETHING OF VALUE, ST. LOUIS BLUES, and HEMINGWAY'S ADVENTURES OF A YOUNG MAN, an anthologized version of the author's semi-autobiographical Nick Adams stories. Critics agreed that "The Battler" segment with Hernandez and Paul Newman was by far the best. However, his most impressive later work was in Sidney Lumet's THE PAWNBROKER. Playing an elderly derelict trying to regain his dignity, his two scenes with Rod Steiger were Oscar caliber, but his part was too small for a serious Oscar run. Hernandez also appeared on prestigious TV series including THE DEFENDERS and NAKED CITY. Hernandez's last film, THEY CALL ME MR. TIBBS was his third supporting role in a Sidney Poitier movie. 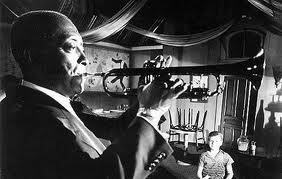 I'm sure Poitier would credit Hernandez's Lucas Beauchamp with helping to facilitate his own later success. Later in life Hernandez returned to live in his native Puerto Rico and was trying to develop a film based on his own script on the life of Sixto Escobar, the first Puerto Rican boxing champion when he passed away from a stroke in 1970."